I had discussed about a delicious looking stack of soaps in one of my previous posts. 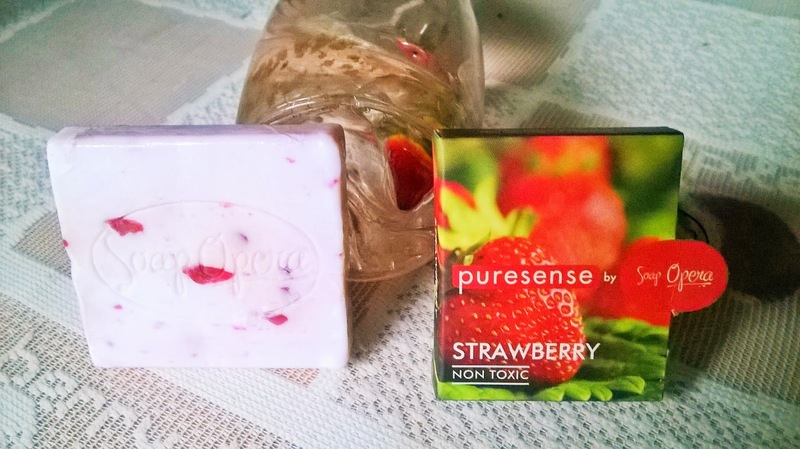 Today I will be reviewing the Puresense By Soap Opera Strawberry Soap from that stack. 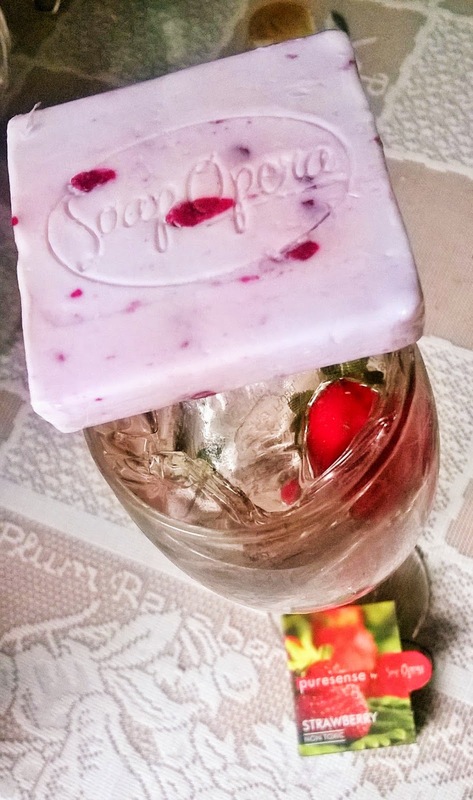 Enriched with the goodness of Strawberry & olive oil, the soap bar is free of sulphates, parabens, formaldehydes and non-carcinogenic. Strawberry is known for its anti-ageing properties & with the combination of olive oil it also gives you a smoother, better-hydrated skin. 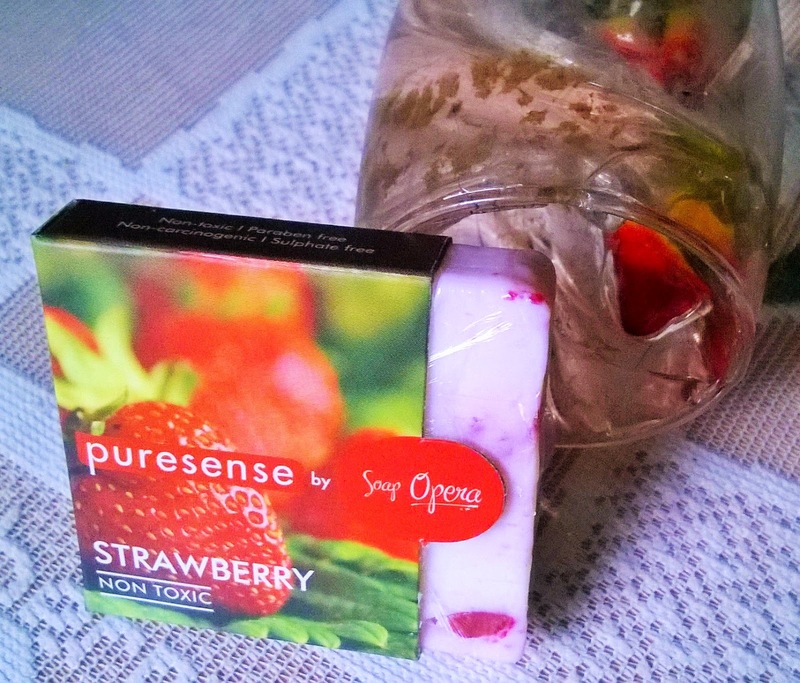 Packaging: Puresense By Soap Opera Strawberry Soap comes in a nice plastic wrap which has a sticker that shows the image of delicious strawberries. 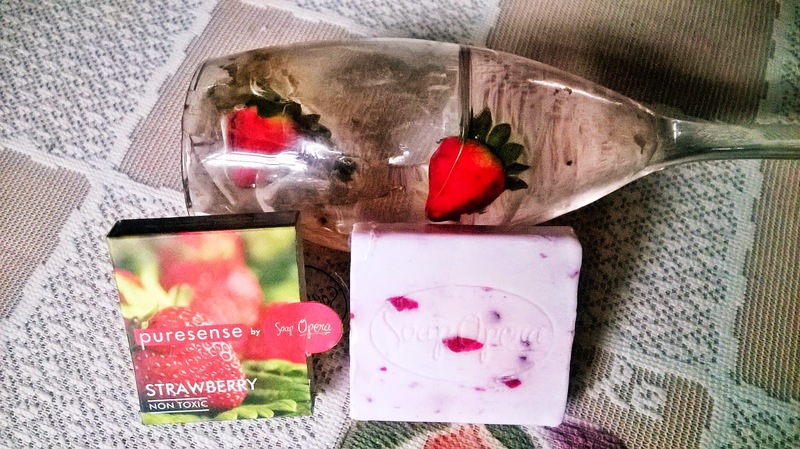 My Experience: The immediate reaction of anybody would be "wow" after seeing Puresense By Soap Opera Strawberry Soap. 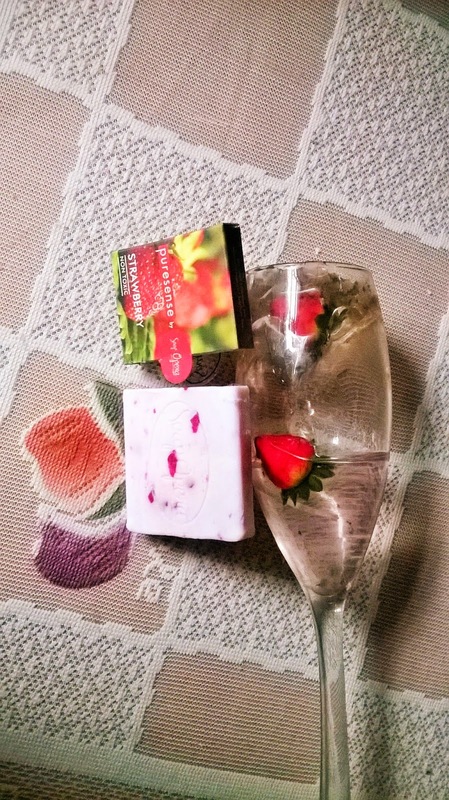 The fragrance is just like a glass of tempting Strawberry Shake made out of juice fresh strawberries. Immediate crush you see!! Now about how it fared on my skin! It is a creamy bar of soap that lathers decently. And yes it has that formula to keep your skin hydrated even after rinsing off. The jelly like patches on the soaps just feel like smoothie when it comes in contact with the skin. 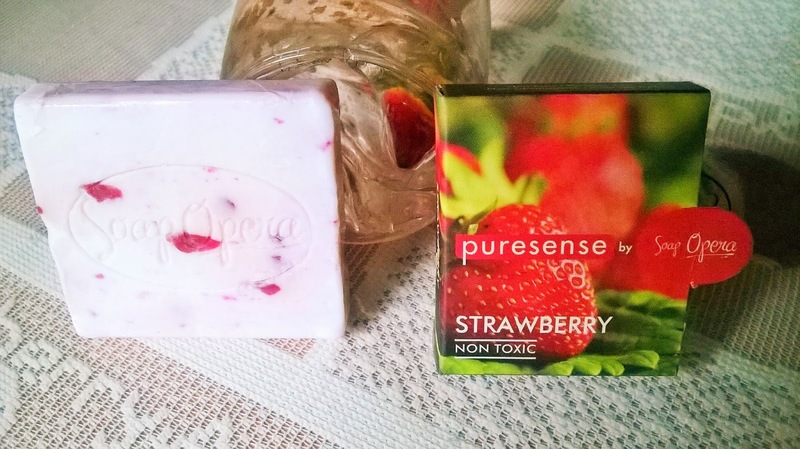 I love anything that says strawberry, and Puresense By Soap Opera Strawberry Soap does not only say it, but shows that it has strawberries along with the goodness of olive oil. 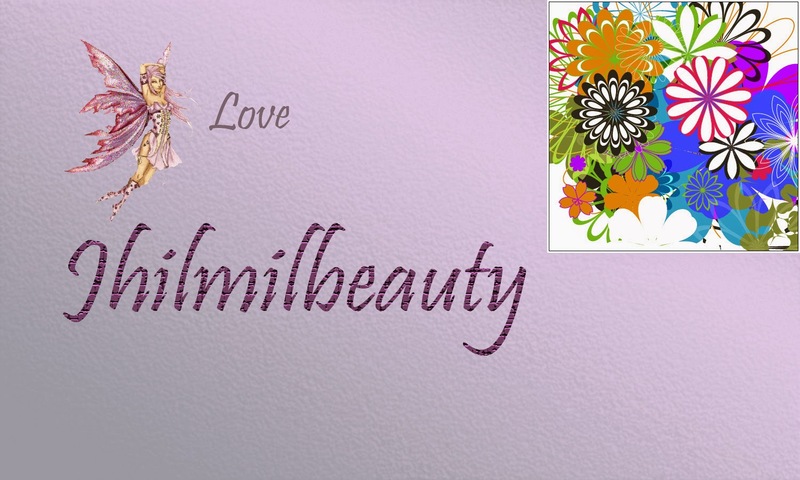 I absolutely adore this soap as it does not dry my dry body skin and keeps it smooth and soft. I will purchase it again and again for sure. 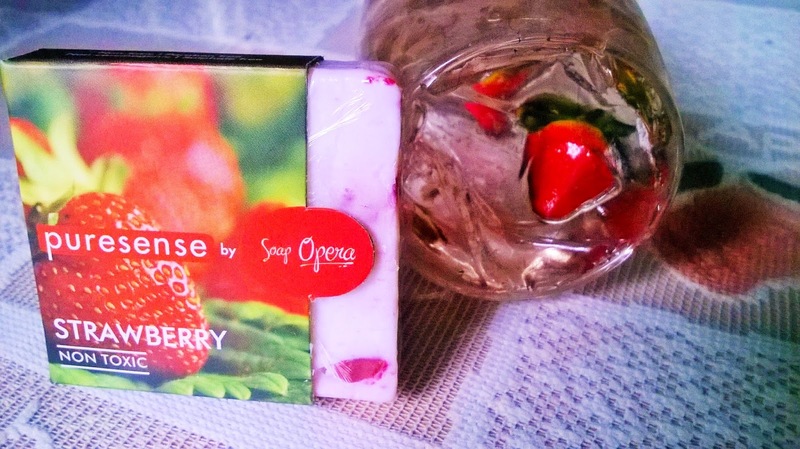 Puresense By Soap Opera Strawberry Soap is a blessing to all girls who love their shower experience to be exotic, fresh & delicious. A strong recommendation from me to anyone who is addicted to strawberries. 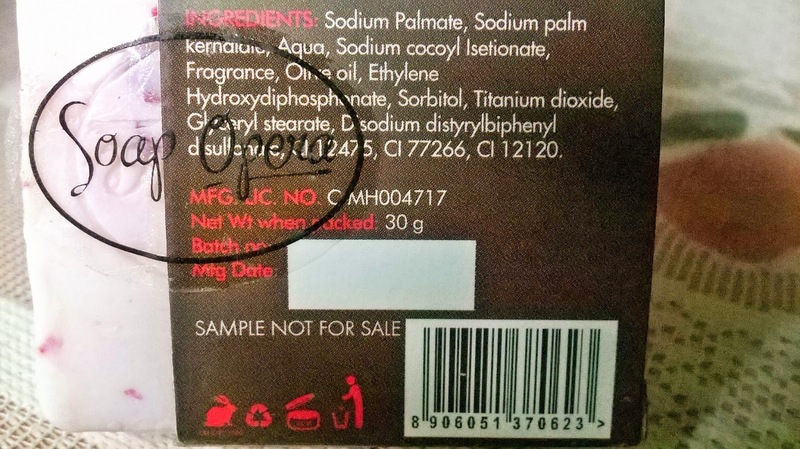 Apart from the slightly high price, I do not see any factor that can instigate you to skip this soap.